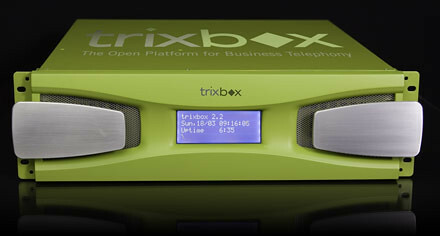 Fonality has announced TrixBox – a telephony application platform based on Asterisk™ Open Source PBX Software. The target of TrixBox is to make fast and simple an installation and configuration of your business-class telephony system. This PBX box offers unlimited extensions, voicemail-to-email, music on hold, call parking, analog lines or high density T1/E1 circuits and many other features. Additionally, TrixBox includes Customer Relationship Management system – SugarCRM, which may help you organize your calls and contacts to use them more efficient. TrixBox is selling for $999.99. So, it’s a bit expensive and superfluous for home users but for small business it’s appropriate solution. P. S. Have a look also the book “TrixBox Made Easy” and project wiki to get all information about the TrixBox.